Stats: From Tom Sloan Saddle to Bear Canyon Campground: 1.8 miles, 680′ loss. From Campground back to Saddle: 1.8 miles, 680′ gain. 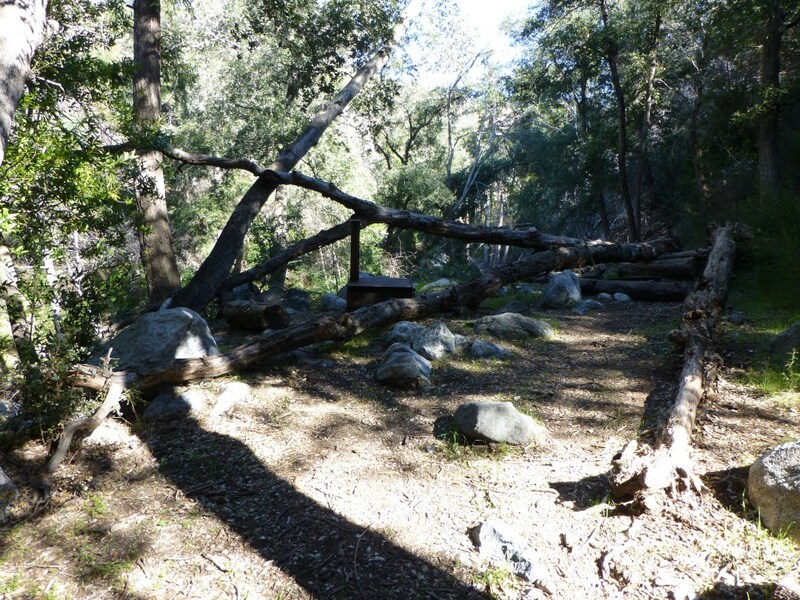 Round Trip: 3.6 miles, 680′ gain and loss. 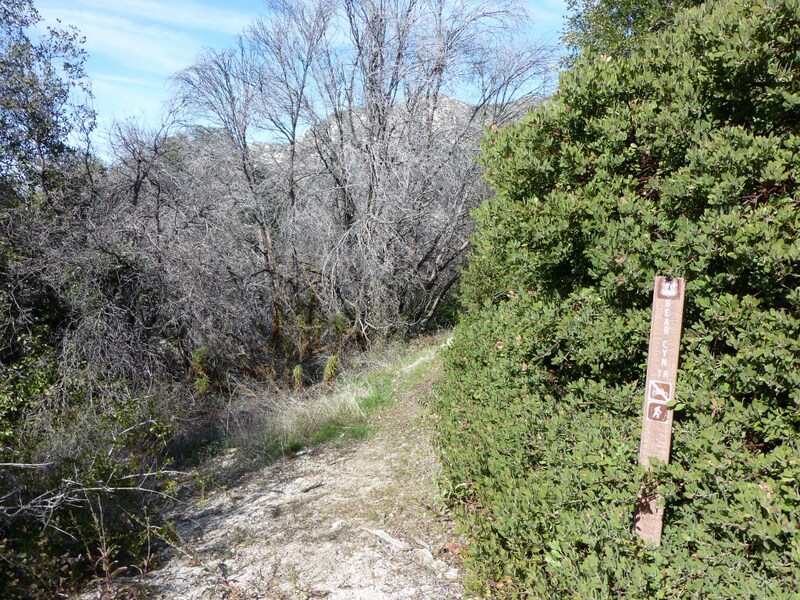 Cobb Estate to Bear Canyon Campground: 19 miles, 4619′ gain and loss. Trailhead from Bear Canyon Campground. Trail starts to left of old stove.